Once the Development stage (the one we spoke about in the previous installment) is finished, it is time to proceed to the next one - namely, Implementation. During this stage, the materials created during development are introduced to the target audience and the learning process starts. Learners acquire knowledge autonomously by taking an electronic course and trying to understand the material with no outside help. Knowledge transfer is facilitated by an instructor or a group of instructors using the developed materials as a basis for teaching. They deliver the information to learners and make sure that the main concepts of the course are well understood. Learners study a part of the course autonomously, while the rest is explained by an instructor, who also controls the acquisition and retention of knowledge from the parts of the course the learners studied with no assistance. The data gathered during the Analysis stage can help you decide what form would work best in your circumstances. Take into account the type of knowledge the course imparts (theoretical knowledge or practical skills) and the characteristics of the target audience (computer proficiency, occupation, motivation level, discipline, and age), as well as the existing infrastructure of the company where training is being carried out. Let us take a more in-depth look at all three steps. It is not unusual for a person who was engaged with the development of an electronic course to be involved in its implementation and the delivery of knowledge to learners. However, it is by no means rare for the instructors to be uninvolved in the creation of the course he or she has to teach. In this event, it is necessary to adequately train the instructor and make sure that he or she has all the necessary information about the course before the learning process begins. The goal or goals of the course. One implication of this is that all necessary materials must be prepared before the first lesson starts, so that the instructor will have the time to review them, absorb the mets-information, and obtain an adequate mastery of the information presented in the course. Sometimes, it becomes necessary to teach dozens of instructors at a time, who will then go on to teach the course in different branches or organizations. For this reason, the amount of time necessary to adequately teach an instructor or instructors can vary greatly depending on the circumstances. The next step of the implementation process is to prepare the learners for the upcoming education process. First and foremost that means making sure that they are familiar with the tools and have the knowledge required for completing the course. Are the learners proficient in the use of programs they will use during the course? Are they aware of the course’s goals, and its schedule? Sometimes it may be necessary to carry out preliminary education to create the necessary foundation for the teaching of the course’s materials. You may also need to explain how to use the media player software used in the delivery of the electronic course, or how many points will be awarded for the completion of the course’s tests and what is the required passing grade. Setting up a projector and a screen of adequate size. Setting up the audio in the room/auditorium where the learning will take place. Making sure that the computers that will be used for teaching have sound cards installed, connecting and testing the speakers/headphones. Downloading and installing the necessary software and/or plugins (Java Virtual Machine, Flash, etc). Supplying a whiteboard and marker pens. Preparing the necessary printouts that will be distributed to the learners. An adequately prepared environment helps both the learners and the instructors to concentrate on the learning process with a minimum of distractions. Once the instructors have been taught, and the learners and the environment prepared, the learning process can begin. 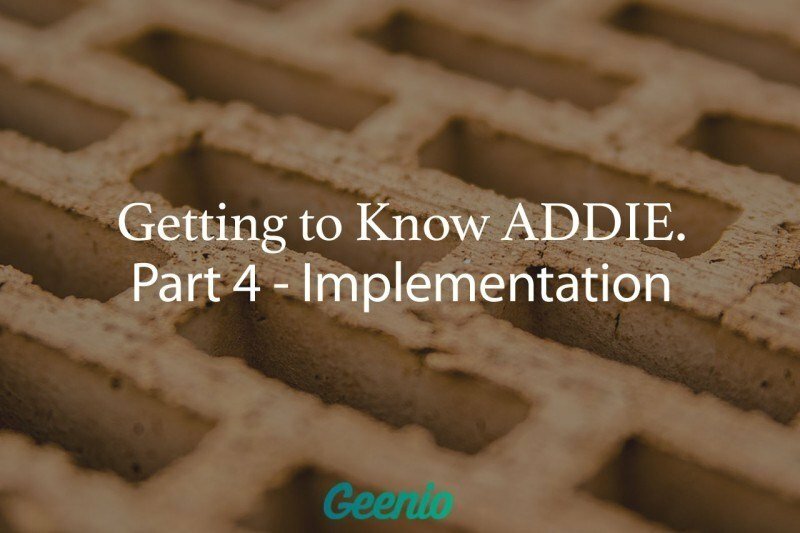 Keep in mind that implementation is a key stage of the ADDIE process, because it is during this stage the information contained in the course you created is transferred to the target audience. This makes it imperative that you pay attention to the feedback received from the learners taking the course, and address it. It is a shame to make a single blunder during the implementation stage that can negatively impact knowledge acquisition, as well as the learners’ reaction towards the course.  For example, failing to install a plugin necessary to view the course’s videos, or putting the learners in a noisy room can greatly affect the final result in a negative way. If you are responsible for the learning process in your company, pay extra attention during the Implementation stage. It would not hurt to accompany the instructors and learners before the learning process begins. This way, the quality of the learning process is least likely to be impacted.